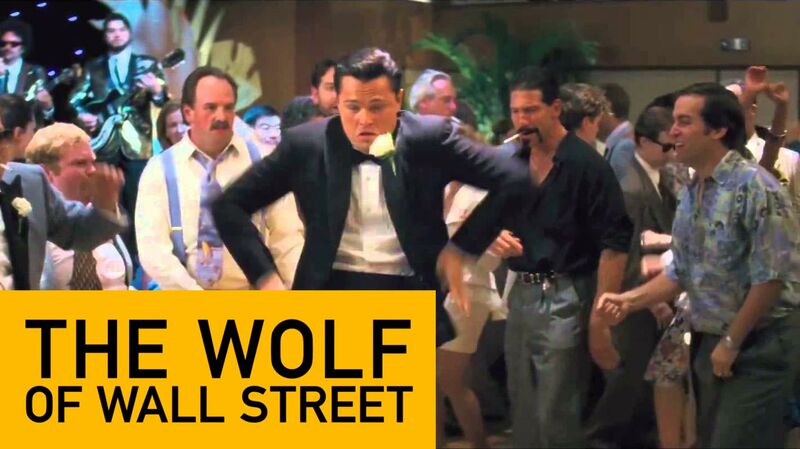 On the surface, The Wolf of Wall Street is a dark comedy character study that is soaked in grime. Adapted from the memoir of the same name by the real Jordan Belfort, the script by Boardwalk Empire creator Terrence Winter uses voice-over narration as a framing device (like Goodfellas) in order to allow Belfort’s story to unfold “in his own language,” so to speak. Both the voice-over narration and scenes of ensemble dialogue are rattled off with an acerbic and foul-mouthed frankness that is almost poetic in its sheer level of crassness – and also darkly funny for a surprising amount of the film’s 3-hour runtime. As far as such comedies go, this is one of the snappier and wittier ones made in a while – who knew Scorsese and Winter could beat the Farrelly Brothers at their own game? However, in the hands of one of the most masterful visual storytellers there is, what is a dark comedy/biopic on the surface is transformed into something much more significant and relevant. Behind the lowbrow facade, Wolf of Wall Street is actually a brilliant deconstruction of the Alpha-dog, “kill to eat” mentality that not only drives Wall Street, but has become, in some ways, the driving philosophy of America’s modern greed culture. A sharp critical eye will notice the seams of great filmmaking at work – including the implementation of thematically relevant pop-culture staples (songs, films, etc. ), as well as visual motifs and metaphors meant to convey the deeper thematic subtext of the film. Even during the most bizarre sequences in the film (see: those soon-to-be-infamous quaaludes scenes), there is some sort of visual or auditory evidence that this is all being done with clear purpose and intent. This film pushes things way past the point of decency – past the point of envy or admiration but never believability – and that’s the entire point of the commentary. By the time Belfort goes through his inevitable fall (and subsequent resurrection), the man has become something so off-putting that the lack of character development in the script can clearly be seen as a binding statement – a frightful declaration that says, “Here America, this is your dark heart!” in much the same way that Daniel Plainview had thoroughly horrified us by the time he made his declaration of being “finished,” while seated in his own slovenly disaster. In the case of The Wolf of Wall Street, the most frightening thing is not that this all happened (it did); or that it happened this way (it did); it’s that it might be (read: definitely is) still happening this way – the perverse mania the movie showers us in hasn’t been cured at all – it has become an airborne contagion that is globally widespread and all-encompassing. To paraphrase Gordon Gekko, “Greed is good, and now it seems it’s legal”; and judging by the movie, we should all be fundamentally terrified about that reality. Serving as the embodiment of this mania that has defined an era, are Leonardo DiCaprio and Jonah Hill in the central roles of Jordan Belfort and his longtime friend/associate, Donnie Azoff, respectively. Both actors are tasked with occupying their extensive screen time with an almost non-stop burn of manic debauchery, expressed through vocabulary that would make a pirate blush. 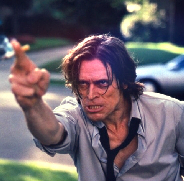 Hill continues to prove that his abilities extended well beyond low-brow comedy; though to be fair, it could be argued that his role – with its banter and absurdity – is exactly that. Still, he’s great in it, and steals scenes left and right whenever he’s in them. Leo has the more complicated task of balancing the unsensibility of Belfort’s personality with moments of real charisma and insight – as well as the dry wit and meta comedy employed by the version of Belfort who narrates the tale. DiCaprio shines bright on all three fronts, without question. The supporting cast is a mix of breakout performers (Walking Dead star Jon Bernthal as a Belfort’s friend/bag man, or Pan Am star Margot Robbie as a trophy wife vixen); a few hilarious and winking cameo roles (Matthew McConaughey as a Belfort’s Wall Street mentor, or Rob Reiner as his hot-tempered father, to name a few); and a few reliable actors bolstering some key supporting roles (Kyle Chandler as the FBI agent, or The Artist star Jean Dujardin as a corrupt Swiss banker). In short, the movie has a fantastic ensemble, each of whom is put the best use of his/her abilities, with nary a weak link to be found. In the end, The Wolf of Wall Street is an outrageous and vile reflection of something very real – and very distasteful – at the core of our society. Some people will inevitably be so put off by the harsh composition of the message that they fail to heed the importance of that message; but in presenting so much of the bad and the ugly behind Wall Street so unflinchingly, Scorsese has crafted an insightful – and important – deconstruction of post-millennial America’s moral erosion. These are the barbarians at our gates.